The staff of the South Carolina State Library’s Talking Book Services will soon be recognized by Hardee’s of Columbia, for its dedication and support to the blind and visually impaired citizens of the state. 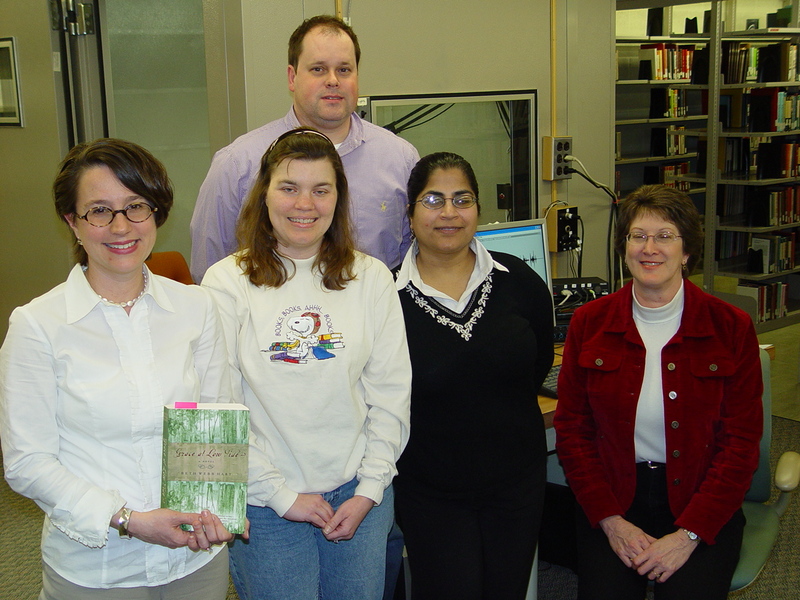 Learn more about the Talking Book Services Student Art Gallery. The 2008 South Carolina Recreation Guide for adults and children with disabilities is now available on cassette. This publication lists events and activities offered in S.C. including summer camps, accessible parks and playgrounds, summer reading clubs, attractions and points of interest. The South Carolina State Library, Talking Book Services, invites you to participate in Tuesdays with TBS, a bi-monthly Online Book Discussion. Please, join us Tuesday, April 29, 2008 from 2:00 p.m. to 3:00 p.m. We will discuss My Sister's Keeper by Jodi Picoult. This book is available in cassette format (RC 58402). Are you interested in the latest assistive technology devices, equipment, gadgets, and software to help people of all ages live more independently in all areas of life? Make plans to attend the South Carolina Assistive Technology Expo 2008. National Library Services has been informed by the Alternative Media Center at the Internal Revenue Service (IRS) that it will not produce IRS tax documents in braille for automatic distribution to libraries. The Big Read is an initiative of the National Endowment for the Arts designed to revitalize the role of literature reading in American popular culture. The Big Read brings community resources together to facilitate and encourage citizens to read for pleasure and enlightenment.